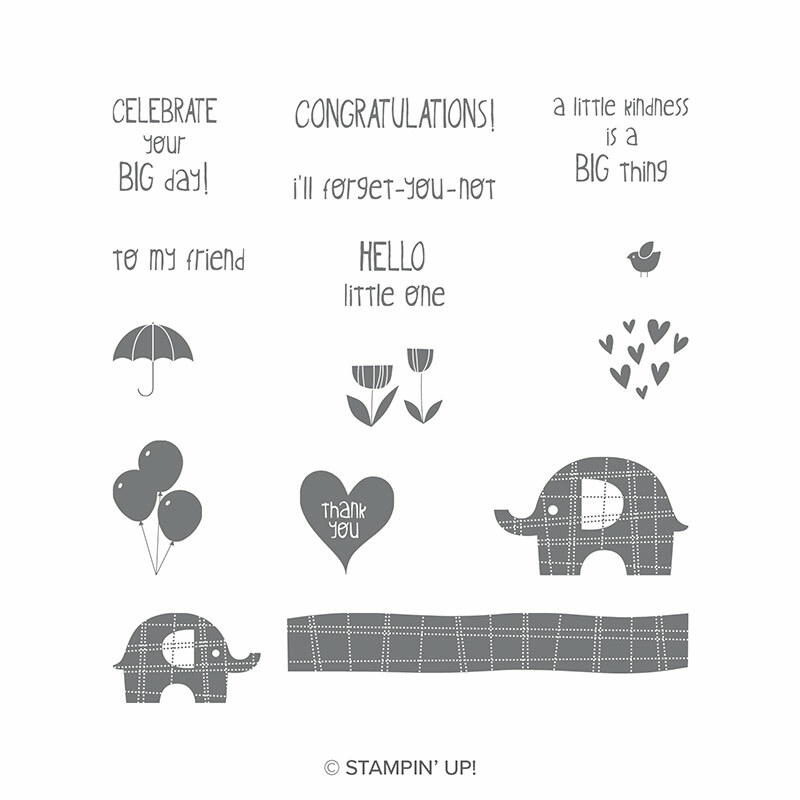 At the weekend I attended the Stampin' Up! convention at the NEC in Birmingham. This is such a fun event, open to all Stampin' Up! demos, whether hobby demos (just enjoying the discount for their own purchases) or business demos (trying to build a customer base and team). It's so great to get together with so many like minded people - I have made some good friends through Stampin Up! One of the traditions at these events is that we make a number (can be any number you like) of the same project - can be a card, a tag, a book mark, a box, a bag....the choice is yours! And then we all swap so instead of, say, 50 of the same project, we end up with 50 different projects. Such fun. Today I am bringing you the project I made for swapping. Swaps necessarily have to be fairly simple so that they can be mass produced. Here is mine, based around a little candy lollipop. 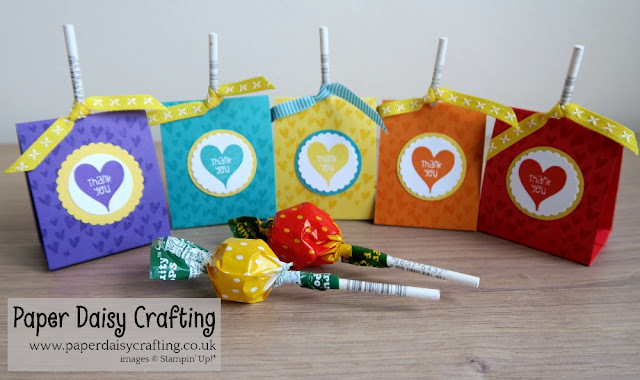 I was inspired to make these after spotting a huge tub of lollies lurking in my husband's study. He is a children's entertainer and sometimes gives these out as treats at parties. 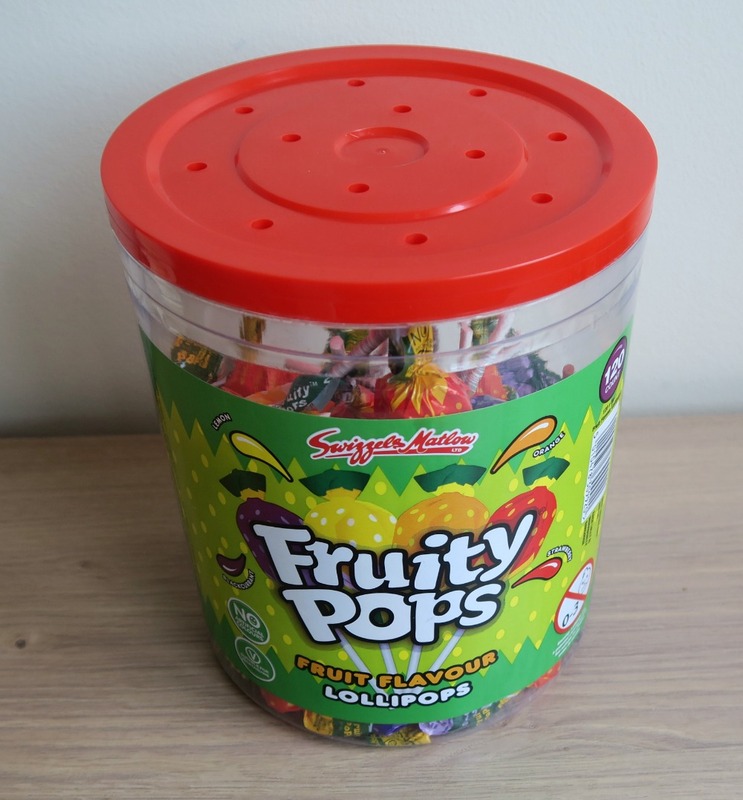 The tub holds 120 lollies - I didn't make that many swaps!! As you can see, I have gone back to using my favourite bright, rainbow colours. The colours I chose were Gorgeous Grape, Bermuda Bay, Daffodil Delight, Pumpkin Pie and Poppy Parade. All the stamping was done using the Little Elephant set - I really love this set and haven't used it nearly enough - need to do something about that! 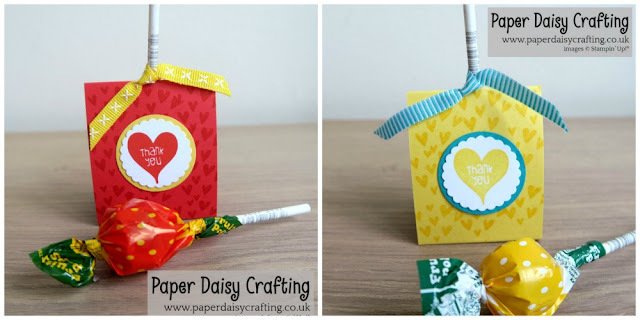 I used the little cluster of hearts to do the background stamping and then the thank you heart as well. The background stamping was done in Versamark on most of the colours but it did not show up enough on the Daffopdil Delight so I used the same colour ink pad for that one. You can see how I made them on my video HERE or by clicking on the image below. And here are two of the favours in close up. I'll be back soon with more creative projects!